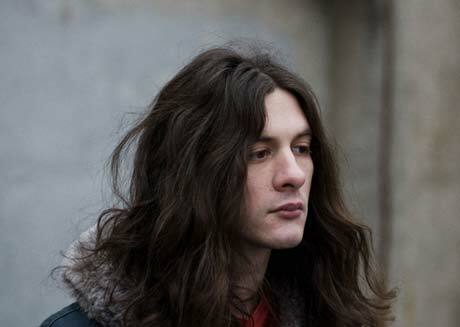 Following a hotly rumoured bidding war, lo-fi psych popper Kurt Vile has inked a "worldwide, multi-album pact" with Matador. The label say they're pretty psyched on the whole thing, and we're guessing that the Philly resident has to be pretty pumped as well. After all, it's the label home of like-minded acts like Times New Viking and Jay Reatard, as well as heavy indie hitters like Yo La Tengo, Sonic Youth and freakin' Pavement. To mark his inaugural Matador release, Vile will be releasing his full-length Childish Prodigy in the fall. The record will follow-up on a whole lot of buzz and critical props for his debut Constant Hitmaker. If you want to just take Matador's word for it, Vile is "one of the more important figures in American music circa 2009," adding that what Hitmaker "lacked in fidelity it more than made for in scope" and that "to dub the album "psych pop" barely scratches the surface of a work that's as impossibly catchy as it is wildly experimental." If you want to check this out for yourself, Hitmaker was reissued last year courtesy of the folks over at Woodsist, who still have copies up for grabs here.